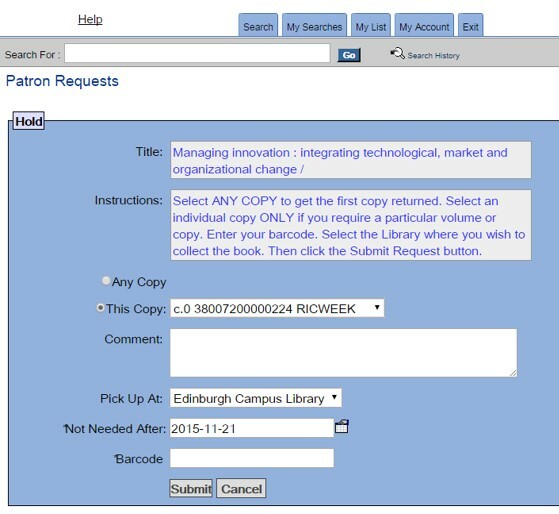 Reserving a book is a service you can use if the book is not available on the shelves in the library. When you search for a book using the library catalogue, if the results show that there is a copy ‘Not on loan’ then you should go and look for it on the shelves as it should be available. This is the quickest way to get a book that you need. The library will ask the borrower to return the item and will inform you by email when it is available for collection from the library. Reserved books are now available for self-service pick up at anytime 24/7. When you receive the email informing you that the book is ready, come to the library and look for the book with your name on it. 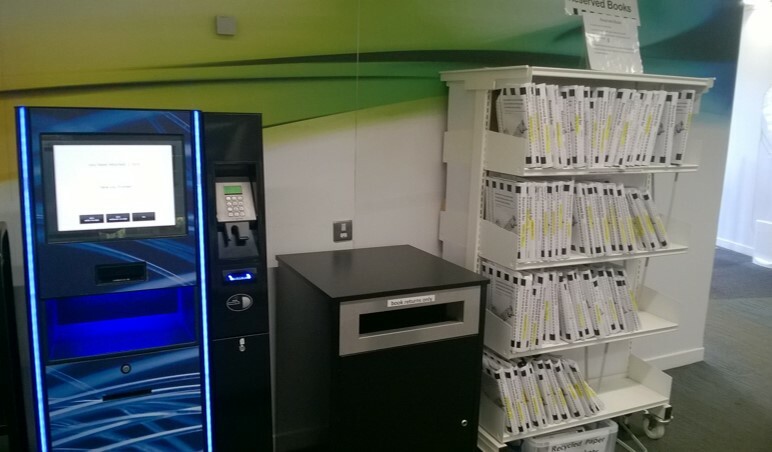 The Reserved Books shelves can be found near the library entrance next to the self-service kiosks.